Pentagon Denies Special Forces Deployment In North Korea : The Two-Way A foreign affairs magazine reported that the U.S. had parachuted soldiers to gather intelligence. North Korean leader Kim Jong Un stands next to senior military leaders during a ceremony in honor of his father, Kim Jong Il and grandfather, Kim Il Sung in Pyongyang. Yesterday, a short piece in a Japan-based foreign affairs magazine caused a lot of surprise: U.S. Special Forces have parachuted into North Korea "to spy on Pyongyang's extensive network of underground military facilities," The Diplomat reported. That would have been big news because, as the AP notes today, it would "violate the armistice agreement that ended the Korean War." The Pentagon issued a full-throated denial this morning, saying "some reporting has taken great liberal license" with the comments Brig. Gen. Neil Tolley made at a special ops conference in Florida. "Quotes have been made up and attributed to him. No U.S. or ROK forces have parachuted into North Korea. Though special reconnaissance is a core special operations force mission, at no time have SOF forces been sent to the north to conduct special reconnaissance.The use of tunnels in North Korea is well documented. Several of the known tunnels along the DMZ are visited by tourists every day." The AP notes that analysts think this is serious, because North Korea is likely to pick up on the original story and ignore the denials. 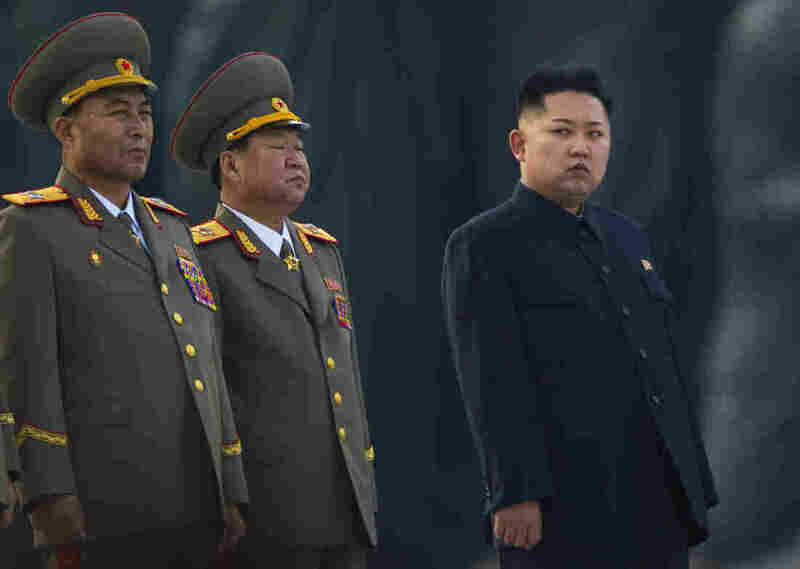 "Anything like this, it just plays right into the hands of North Korea," Daniel Pinkston, a Seoul-based security expert at the International Crisis Group, told the AP. "It proves their narrative that America just wants to topple the regime. They can pick up the original story and just run with that." The Diplomat ran a clarification on the story today, saying if there has been a misunderstanding, "then we regret any confusion." The reporter on the story, David Axe, posted his notes on his blog. Tolley made the comments he reported, Axe said. His notes prove that. On that blog post, he says he also checked with the AP's Kimberly Dozier, who affirmed that Tolley said the U.S. put "humans in there... we send ROK soldiers, Koreans, to the north, and U.S. soldiers, to do the old special reconnaissance mission." Now, Dozier, according to Tolley's blog, followed up with Tolley after his talk and he clarified that in his presentation he was talking hypothetically, that he was talking about future events in which the U.S. could be faced with "all-out hostilities." "Tolley did not state that he was speaking hypothetically [during his presentation]," Axe writes. "And he described in detail his need (either at present or eventually, conditionally — he did not specify) to 'leap' forces north with ever-lighter and better equipment."